I'm taking a university course in Java this semester, so I've been recently writing a lot of Java and as an IDE using IntelliJ (community edition) by JetBrains a lot. 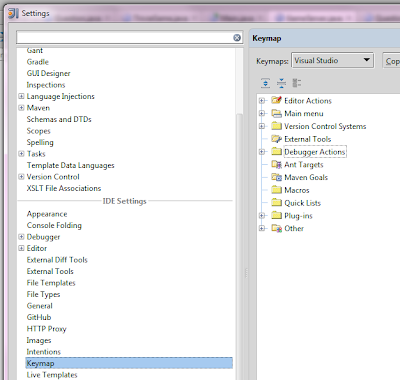 As a .net guy, mostly, I'm used to Visual Studio with ReSharper 6 and I remember so many keyboard shortcuts by heart which make my coding work so productive! So you can guess how hard it is for someone like me, doing the transition to a different IDE, and not having ANY of the shortcuts you're used to. I tried studying some of the intelliJ shortcuts but it just got too annoying, and I finally decided to take the time and set ALL of the IntelliJ shortcuts to the same VS shortcuts once and for all. 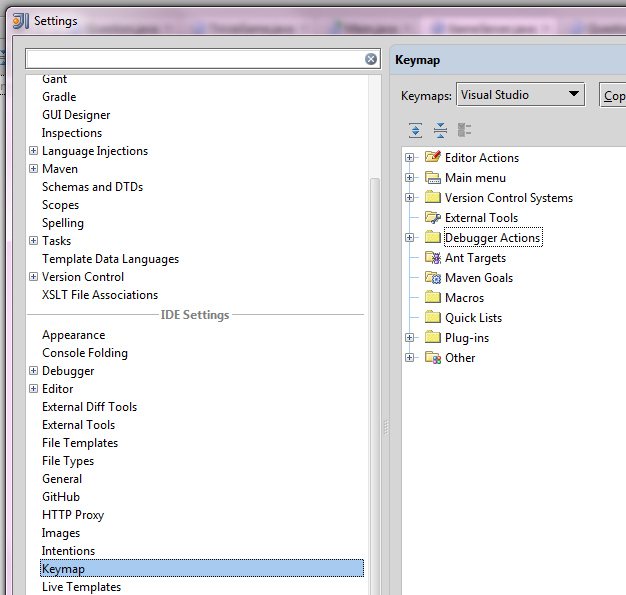 While I did that, I ran into a nice surprise - The brilliant guys at JetBrains were one step ahead of me the whole time, and have already added a VS keymap option in their settings panel!! !